Many students struggle with the concept of dynamic equilibrium, incorrectly assuming that equilibrium refers to a “balance” between reactants and products. The resources below strive to encourage students to understand equilibrium by starting with a simple physical change involving H2O(l) moving to H2O(g). It’s helpful to separate the concept of dynamic i.e. when rate of forward reaction equals rate of reverse reaction from equilibrium concentration i.e. when concetration of reactants and products remains constant. Students move on to apply their knowledge to chemical equilibria using Le Chatelier`s principle and finally think about compromise conditions in the context of the Haber process. GCSE models to help understand equilibria. 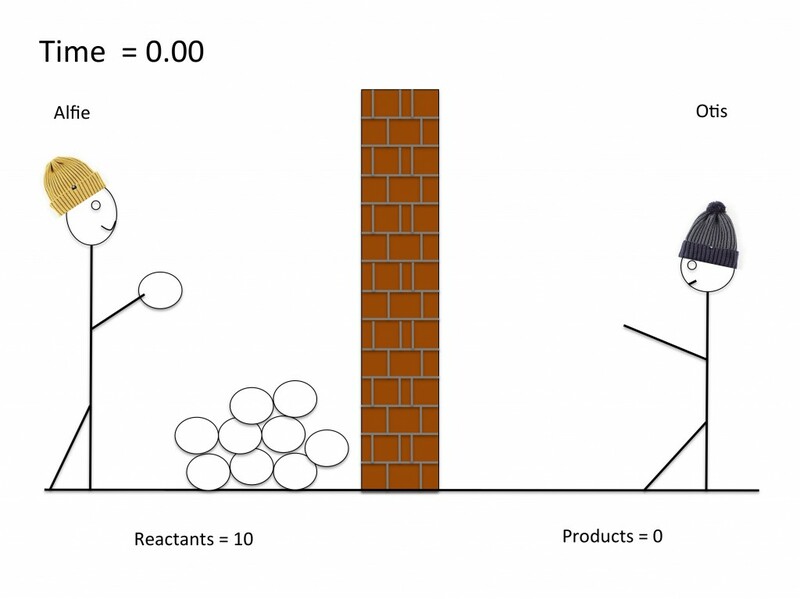 This simple model uses a snowball fight to show students how concentrations of reactants and products remain constant at equilibrium. This lesson can be further developed to help students understand the concept of position of equilibrium. The Haber process is perhaps the most important synthetic chemical reaction on Earth. The story of its founder, Fritz Haber, is an incredible one – a Jewish chemist who discovered the chemicals that were later used to kill members of his own family. A story that illustrates the good and evil science can do and is described brilliantly here by the BBC’s Radio Four in The Chemist of Life and Death. Get students to use this information to write an essay about Haber: the good, the bad, the ugly.